Bask poolside in the Mediterranean sun, La Granga Ibiza is very different from the rest of the island's bustling beaches. 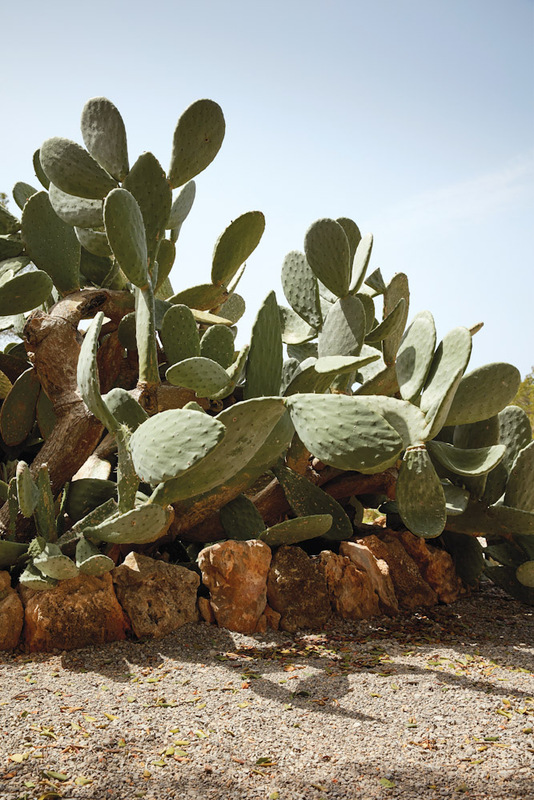 Desert plants add to the the remote feel of the farmhouse in Ibiza, Spain. 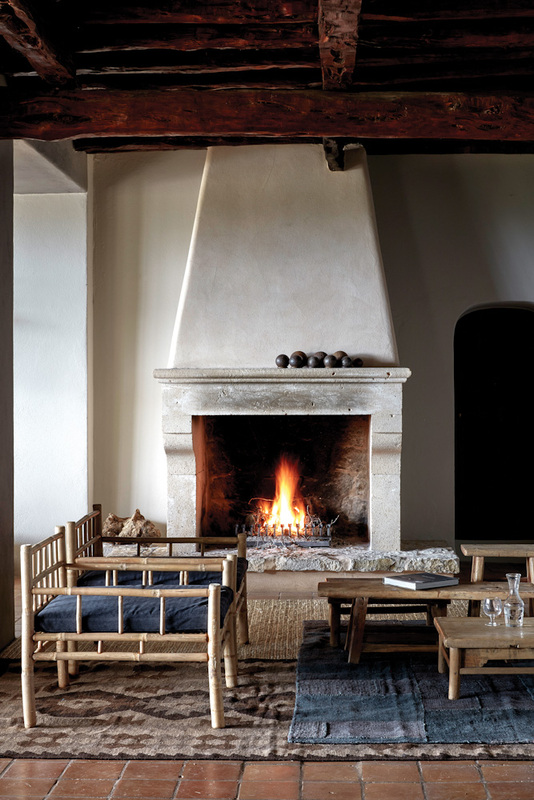 Crackling log-fire and simple furnishings inside the designer farmhouse, La Granga Ibiza. 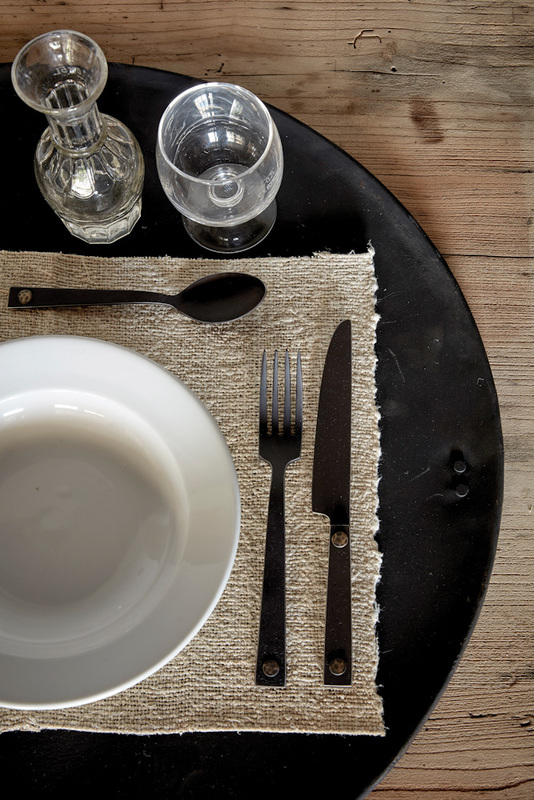 La Granga Ibiza's kitchen serves healthy and fresh cuisine made from the garden’s fresh ingredients. Find a tranquil spot among the pretty gardens at La Granga Ibiza, enjoy a drink surrounded by the fragrance of lavender. Ultimate relaxation at La Granga Ibiza, a spacious suite, with a deep tub and private garden. 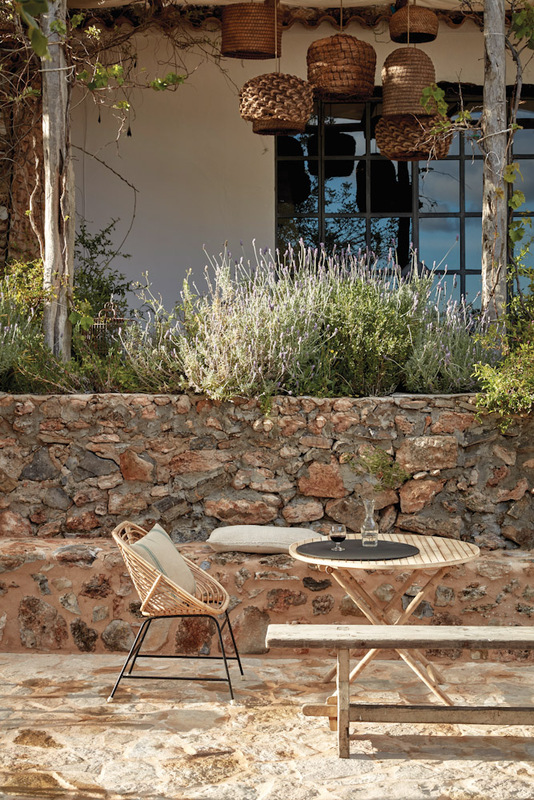 Possibly the chicest farmhouse we’ve ever laid eyes on, this former private residence located in Ibiza, Spain (yes, you read that correctly), has recently been converted into acccommodation as a Design Hotels Project, from the talented people at Design Hotels. Launched in collaboration with Friends of a Farmer, a group of like-minded members who work together to enhance sustainability on Ibiza, La Granja Ibiza acts as its clubhouse. But for visitors here for a break, La Granja Ibiza is also a calming rural respite from the island’s bustling beaches, with 10 elegant guestrooms and a two-bedroom, centuries-old stone farmhouse to unwind in. Sitting on 10 hectares of secluded pastoral interior, the property’s design aesthetic is the work of Armin Fischer from Dreimeta design studio and celebrates simple, rustic elegance. Fischer described the process as “more an act of preservation than transformation” and chose to embrace the building’s weather-worn look. Throughout the guestrooms and public spaces the classical Iberian architecture and Moorish influences have been carefully restored: the arched walls, dark-wood ceiling beams and doors, and hammered iron fixtures. 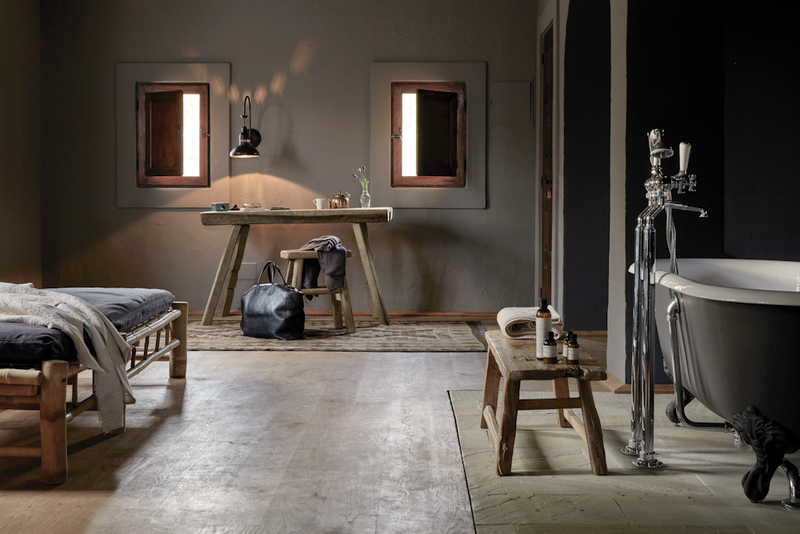 These original, raw features are complemented by natural styling using burnt wood, brushed and oiled ash, stone, and slate (and topped off with luxurious touches including premium bed linens, Le Labo bathroom amenities and in-room fireplaces). Figuratively a world away from the island’s party ground-zero, this tiered parcel of land offers guests a taste of authentic Ibiza, with pine and citrus forests and gardens from which the kitchen forages lemon, apple, nectarine, fig and almonds to create fresh Mediterranean cuisine served up on the communal table. There’s also a daily offering of music, art and mindfulness activities such as yoga, and a pool with views out over the surrounding farmland, perfect to while away the afternoons under the warm Ibiza sun in complete solitude.